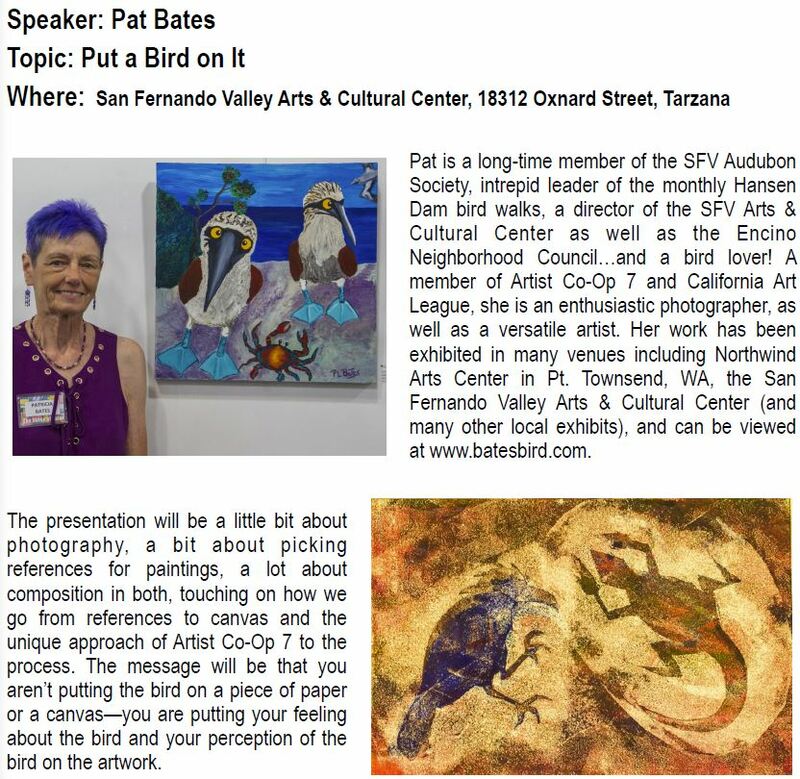 Meetings are held at the San Fernando Valley Arts & Cultural Center, 18312 Oxnard Street, Tarzana, 91356 at the Southwest corner of Oxnard and Etiwanda (1/4 mile east of Reseda Blvd.) If you use navigation on your car, computer or phone, enter the address — 118312 Oxnard — not the description of the location (“San Fernando Valley Arts & Cultural Center”). It is recommended you enter the parking area in the rear from the alley off Etiwanda – go left into the parking area. Please never park near the roll-up doors of the businesses behind the Center.